In Amsterdam on night three, John Noble, who looks after our community site zootopia, was in the house. His review is just up in the Zoo - here’s some edited highlights. Were you in the house for night three in Amsterdam? Add your own photos and reviews below. 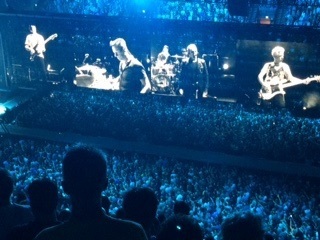 I travelled to beautiful Amsterdam to see U2. Great show, great old songs that I enjoyed the most. It was my second concert after Wednesday. It was fantastic. Me and my wife were standing in front on the southside close to The Edge. What an amazing show. So intence. The first 4 songs, including “The Electric Co.” Just like the old days, went straight down. Wow. (Wednesday “Gloria” I went crazy). Beautiful was the wall, Bono seen on “Cedarwood Road” etc. What an invention that is. The new songs became better songs. Bono’s voice was great, I think better than wednesday. “Bullet” is as always a great song what a power. “Elevation” the whole Ziggo Dome stood up. And “One” Bono sung the first 2 lines after that the crowd took over, chicken skin. So beautiful. 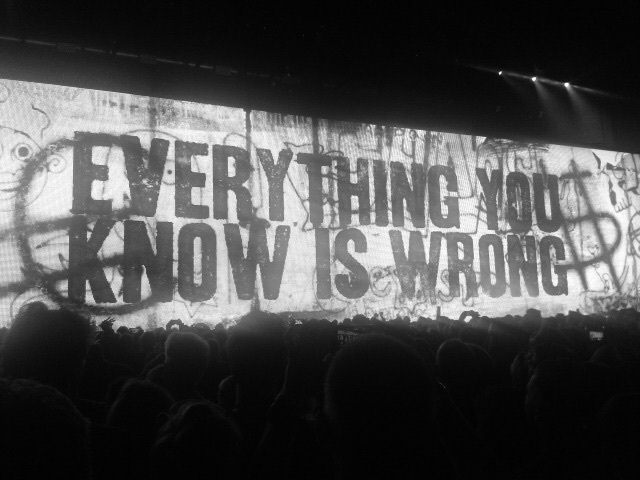 U2 made it happen again. Maybe the best concert I’ve ever seen from the best live band in the world. Thanks U2 for the great and grandioos evening, I'm so happy I was there!! Some-thing that also may be said....thanks also to the people who have some-thing to do with the organisation of this tour, without them it isn't possible!! Wednesday I went to the show in the Ziggo Dome. For the first time with my son, who also bought us the tickets as a present for Christmas, Mothers day and my birthday :). It was a unique experience. My son was not to keen on the punk rock part, but enjoyed the rest of the setlist very much. Completely brainwashed by his mother, obviously! I was so happy to see the boys again, since I last saw them in Rome in 2010. U2 playing in my backyard. What more could you ask for? Looking forward to Saturday evening. Sadly enough the invitation for the presale of tickets in Ireland ended up in my spam..... So, missed that chance. What a bummer!